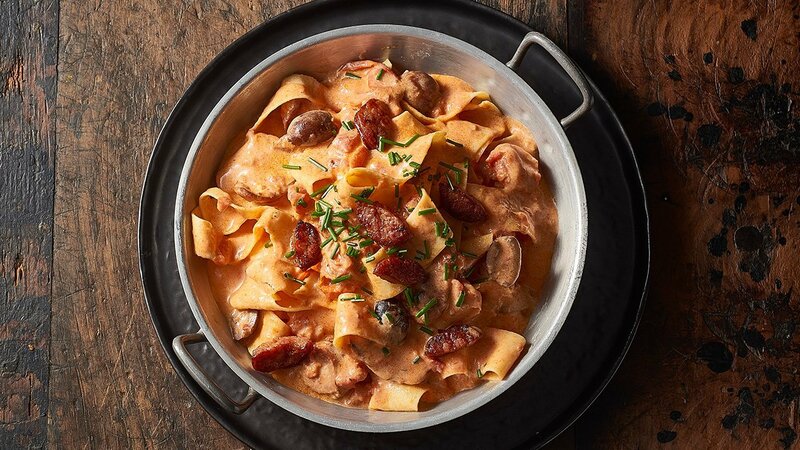 Spanish and Thai flavours tossed through a traditional creamy Italian pasta. What's not to love. Cook pappardelle pasta until al dente. In a pan heat oil and add in the chorizo, cook until crispy and add KNORR Thai Sweet Chilli jam. Add cream, Kalamata olives, cherry tomatoes and simmer for 10 minutes. Add pasta back to pan and toss.